PITTSBURGH, Pa, Oct. 15 /CSRwire/ - The United Nations Environment Programme (UNEP) has named Pittsburgh the host city for World Environment Day (WED) 2010 in North America. The theme is "Biodiversity: Connecting with Nature." Local government officials, businesses, organizations and individuals will work with UNEP's Regional Office for North America (RONA) to schedule a series of events during the six weeks that "bridge the gap" between the 40th anniversary of Earth Day on April 22 and World Environment Day on June 5. 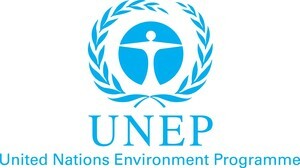 The United Nations created World Environment Day in 1972 to stimulate environmental awareness and action. With thousands of events in UNEP’s six global regions including North America, Latin America and the Caribbean, Africa, Asia and the Pacific, West Asia, and Europe, World Environment Day is considered one of the largest environmental events of its kind. The selection of Pittsburgh by UNEP follows on the heels of Pittsburgh's recent role as host of the September 2009 G-20 Summit and President Barack Obama's efforts to showcase the region’s successful transformation from an industrial city to a present-day model of green economy industries, organizations and initiatives, which will all be on display during WED and at Bridging the Gap events. Bayer Corporation, based in Pittsburgh and a longtime sponsor of UNEP programs, including World Environment Day in North America and around the world, was instrumental in Pittsburgh's selection as 2010 North American WED host city. "With the help of Bayer, one of UNEP’s most important global and regional World Environment Day partners, we are proud and pleased to spotlight Pittsburgh's remarkable environmental and sustainability progress, particularly in the areas of biodiversity, green jobs and workforce development, and environmental education," said Amy Fraenkel, Director, UNEP RONA. "In terms of sustainability, Pittsburgh has come so far, whether it’s in innovation and research, environmental education or sustainable business practices," said Greg Babe, President and CEO, Bayer Corporation. "As the North American host city for World Environment Day, the Pittsburgh region and the companies that call it home have a unique opportunity to showcase our progress and enhance the ongoing dialogue about this important topic." While UNEP thinks globally, with WED it asks communities to think and act locally and share their ideas and expertise about solutions to environmental issues. "We are grateful to UNEP for singling out our region and giving us another opportunity to show the rest of the world that we have become a leader in green technology, environmental stewardship and sustainable development," said Allegheny County Executive Dan Onorato. "Through our Allegheny Green initiative, the County is leading by example, working to reduce our ecological footprint, and creating countywide policies and programs to further promote sustainable practices." "The City of Pittsburgh is honored to be chosen as World Environment Day host city for 2010," said Mayor Luke Ravenstahl. "Through the Mayor's Office of Sustainable Development and Energy Efficiency, Pittsburgh demonstrates its ongoing commitment to our environment. In the next several months, I will be reaching out and urging local government agencies, businesses, organizations and individuals to get involved, create, support and/or sponsor WED activities." The Regional Office for North America (RONA), located in Washington, D.C., is one of six regional offices for the United Nations Environment Programme (UNEP). RONA's mission is to foster cooperation on environmental issues in the United States and Canada, thereby promoting effective responses to global environmental challenges. RONA’s strategy to achieve these goals includes promoting collaboration between UNEP and various sectors of North American society, facilitating the participation of the region in UNEP-sponsored global events and activities, developing environmental education initiatives, and organizing environmental awareness-raising campaigns. Bayer Corporation, headquartered in Pittsburgh, is a subsidiary of Bayer AG, an international health care, nutrition and high-tech materials group based in Leverkusen, Germany. In North America, Bayer had 2008 net sales of approximately 8 billion euros (about $12 billion) and employed 17,000 at year-end. Bayer's three subgroups, Bayer HealthCare, Bayer CropScience and Bayer MaterialScience, improve people's lives through a broad range of essential products that help diagnose, prevent and treat diseases; protect crops and enhance yields; and advance automobile safety and durability. For more information, go to www.bayerus.com. For more information, please contact: Elisabeth Guilbaud-Cox, Deputy Director, UNEP RONA at egc@rona.unep.org, tel: (202) 974-1307 or (202) 812-2100; Bryan Iams, Bayer Corporation at bryan.iams.b@bayer.com, tel: (412) 777-5732; Joanna Doven, Mayor’s Office at joanna.doven@city.pittsburgh.pa.us, tel: 412-255-2694; and Kevin Evanto, County Executive’s Office at Kevin.Evanto@AlleghenyCounty.US, tel: 412-350-3171.